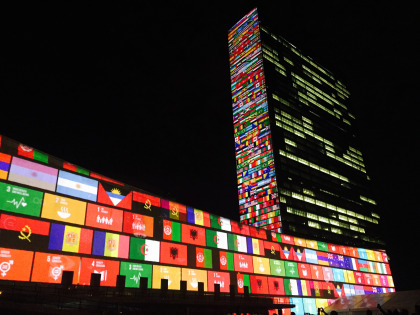 The New Secretary General: Which way for global priorities? The election of Donald Trump as the 45th President of the United States has sent shockwaves around the world. He has said in the election campaign that he is committed to scraping the Paris Climate Agreement (though there are indications he may backtrack on this now). The Agreement that came into force on the 4th of November and the US might start the process to withdraw when he takes office in January. This will be within weeks of Mr. Antonio Gutteres, the new Secretary-General of the United Nations, assuming office at a time of great global uncertainty. Not only with what the new President might do on climate but also on Syria and close the US door to refugees. Mr Gutteres will be succeeding what has become a transformative leadership for sustainable development laid by his predecessor, Mr. Ban Ki Moon. Ban Ki Moon will go down in history as the UN chief that achieved some solid feats during his two terms. For under his watch, he successfully pushed for the scaling up of efforts at enhancing global paradigm shift to sustainable development. 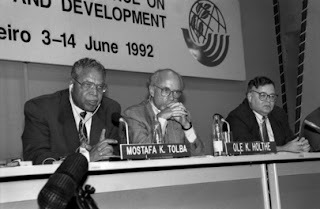 In the field of sustainable development, he oversaw the Rio+20 Summit which not only became the linchpin for the creation of the High-Level Political Forum on Sustainable Development and the United Nations Environment Assembly but also the unprecedented global commitments such as the sustainable development goals (SDGs). Also, during his term, reduction of the global emission of greenhouse gases, a topic that has continued to attract both recognition and denial in almost equal measure, finally got a universally applicable agreement in the Paris Agreement- a right step in curtailing run-away climate change. Our new Secretary General will start his term of office, among other things, trying to persuade President Trump not to withdraw the US from the Paris Agreement. Over the past 45 years, the major sustainable development agreements have all been followed by huge challenges the world has had to face. This has dramatically impacted on their implementation. After the 1972 Stockholm UN Conference on the Human Environment, the repercussions of the 1973 Yom Kippur War saw oil prices soar as the members of the Organization of Arab Petroleum Exporting Countries proclaimed an oil embargo. The embargo ended March 1974, the price of oil had risen from US$3 per barrel to nearly $12 globally and US prices were significantly higher. The oil shock continued high prices in the 1970 and was followed by a second shock in 1979. The 1979 shock caused by the impacts of the Iranian Revolution on oil prices was followed by an additional shock with the Iran-Iraqi war. The 1992 Earth Summit happened at the time of two significant world events that had a huge impact on the implementation of Agenda 21. The first was the fall of the Soviet Union and the Eastern Bloc in 1989 and the second was the Gulf War (2 August 1990 – 28 February 1991). The first saw funding shift to stabilising the newly democratic countries of Eastern Europe and the second saw again the oil price increase and ODA funding for implementing Agenda 21 and other agreements instead of doubling reduced. ODA only returned to 1991 levels in 2002 for the World Summit on Sustainable Development (WSSD). 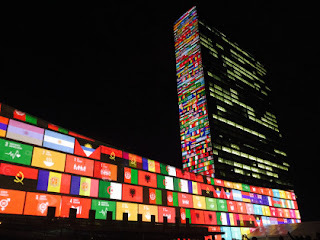 The 1990s are seen as the lost decade for addressing climate change and implementing Agenda 21 – the blueprint for sustainable development for the 21st century. Finally, it had been hoped that WSSD in 2002 would add to the Millennium Development Goals. The impact of 9/11 saw the world focus on terrorism and war and face away from sustainable development. We don’t know yet what the implication of a Trump Presidency will be on the SDGs and the Paris Agreement but the new Secretary General will need to try and show leadership for the other 193 Member states to ensure we keep them at the top of the political agenda. Let’s hope that history is not repeating itself and the efforts at attaining global sustainability will either bear fruits within which the recent international agreements, in particular, the SDGs and the Paris Agreement, are implemented. These two universally applicable instruments are especially unique for in them are the advantages of tackling cross-cutting issues such as sustainable resource extraction and use, reducing inequalities by increasing access to opportunities for wealth creation, goods and services for all hence ensuring leaving no behind. The approach to the interlinkages between the different Goals is a critical achievement and recognition of that the world is much more complicated than we had thought. In this interdependent world, Mr Gutteres can probably make a more positive impact in furthering global sustainable development if he prioritises galvanising political will and support for enhanced mobilisation of financial resources for capacity building and deployment of environmentally sound technologies. To effectively confront the root causes of poverty and environmental degradation, Mr Gutteres must achieve the onerous task of mobilising the global community for effective and timely implementation of the SDGs, the Paris Agreement and the Addis Ababa Action Plan among others as they are critical for realising peace and security, human rights, and development. But achieving any significant move in that regard will largely depend on his style of leadership considering that the world has greatly changed in terms of geopolitical realities and strategic re-alignments. While traditional power houses still occupy prominent positions in global policy making, new powers are now influential in their own rights, and ignoring their voices or contributions to global process can only be an exercise in futility. Without a doubt, traditional powers must remain true to their global commitments if their leadership positions are to remain relevant and unrivalled. Supporting efforts by developing countries in combating the root causes of poverty while taking concrete and meaningful actions in reducing environmental footprints are indispensable for sustainability. Yet they are the most difficult to realise. Currently, just like the UN technology facilitation mechanism, consensus on the follow-up actions for the Addis Ababa Action Agenda appears to become elusive in New York. Mr Gutteres will need to work extra hard to bring these debates to logical conclusions.